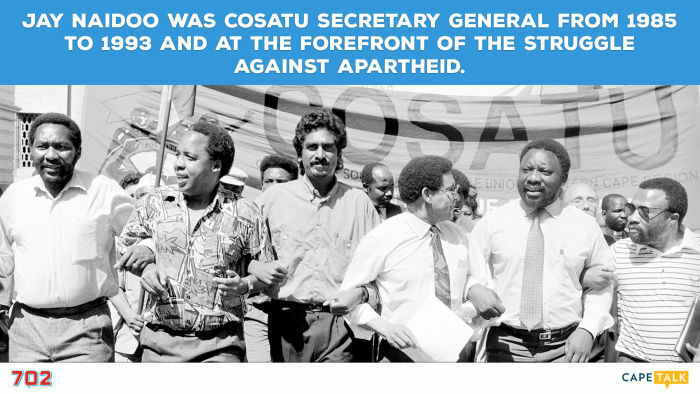 Jay Naidoo was Cosatu Secretary General from 1985 to 1993 and at the forefront of the struggle against Apartheid. 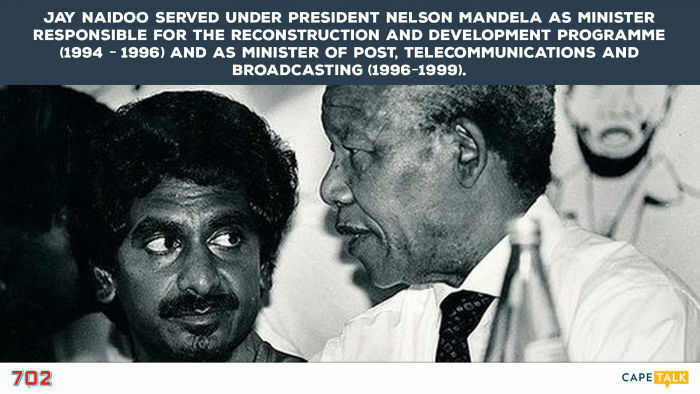 Jay Naidoo served under President Nelson Mandela as Minister responsible for the Reconstruction and Development Programme (1994 – 1996) and as Minister of Post, Telecommunications and Broadcasting (1996–1999). 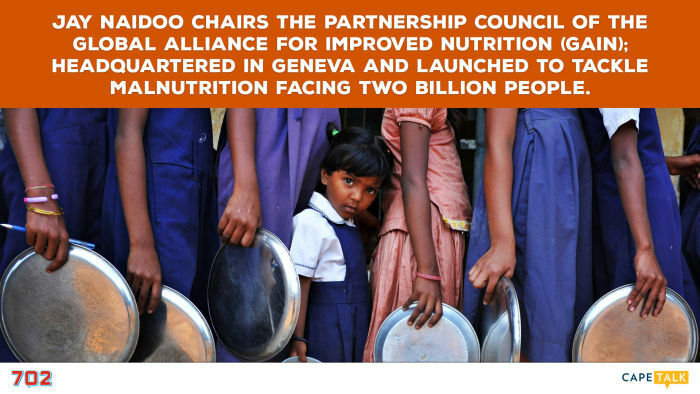 Jay Naidoo Chairs the Partnership Council of the Global Alliance for Improved Nutrition (GAIN); headquartered in Geneva and launched to tackle malnutrition facing two billion people. 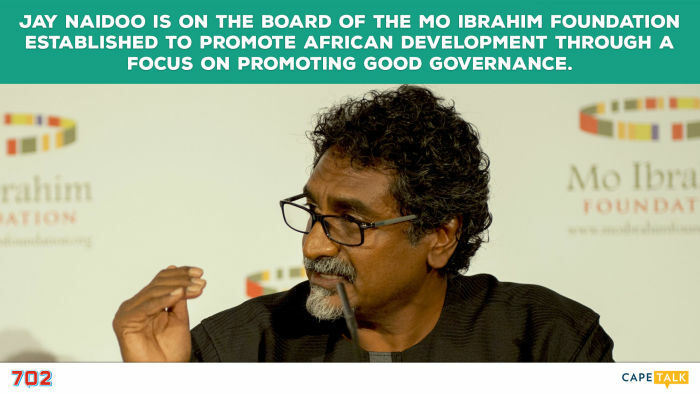 Jay Naidoo is on the Board of the Mo Ibrahim Foundation established to promote African development through a focus on promoting good governance. 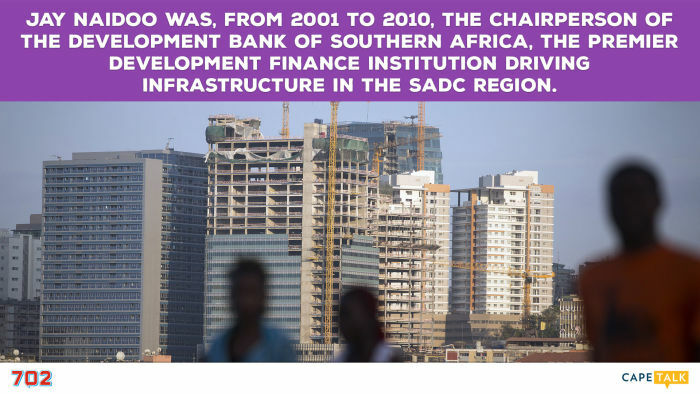 Jay Naidoo was, from 2001 to 2010, the Chairperson of the Development Bank of Southern Africa, the premier development finance institution driving infrastructure in the SADC region. 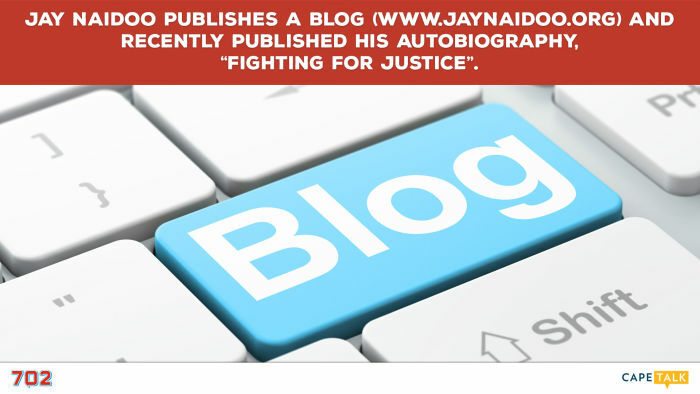 Jay Naidoo publishes a blog (www.jaynaidoo.org) and recently published his autobiography, “Fighting for Justice”. 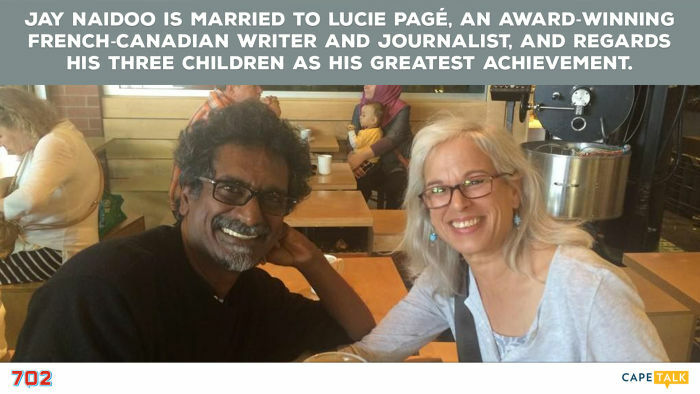 Jay Naidoo is married to Lucie Pagé, an award-winning French-Canadian writer and journalist, and regards his three children as his greatest achievement. Scroll down to listen to our interview of Jay Naidoo. The last few years I’ve focussed on trying to be a good husband and father. In South Africa we have enough money to feed our population. We certainly need commercial farming. How do we harness the commercial expertise we have? This is a political problem, but we have a history of solving problems! Women, particularly, when their incomes increase, they invest it in their children’s health and education. Imagine if a million South Africans took a decision to do one good thing each week! My generation must learn to listen. The people who need help probably know more about their problems – and the solutions – than any of us. We must look at each other as human beings before we look at each other as South Africans, Christians or whatever. If at first you don’t succeed, try again! I will never give up the fight for good governance! We should train people to create their own jobs instead of training people to do jobs. Government should be less arrogant and more humble. We need to curb corruption. And business is sitting in a silo and thinks it will be unaffected by the social environment in which we live. We need men and women of great integrity! We speak to the man who is, against all odds, slowly but surely, turning Telkom around.